Step It Up, Potter Fan! Anyone can go trick-or-treating in a Harry Potter themed costume, but only a true superfan can stage a realistic Quidditch match for a Halloween night to remember! So, we guess our question is: what kind of fan are you? A superfan, we hope! Sure, a Quidditch game won't be easy to replicate. There are enchanted Bludgers and magical Quaffles, skilled Seekers and champion Chasers, not to mention...all that flying! But the game has been adapted for muggles, and you, too, could celebrate All Hallows Eve with a riveting match for all to enjoy. 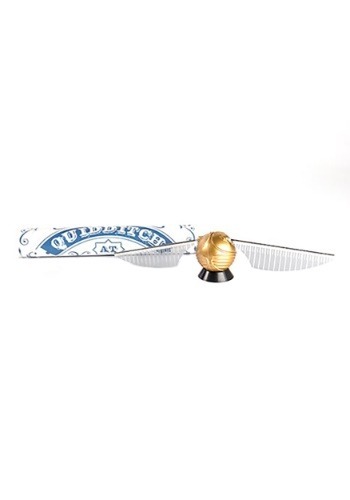 Of course, no game of Quidditch can be complete without the Golden Snitch! This Harry Potter Mystery Flying Snitch will get you off on the right foot for your Halloween Quidditch bash! 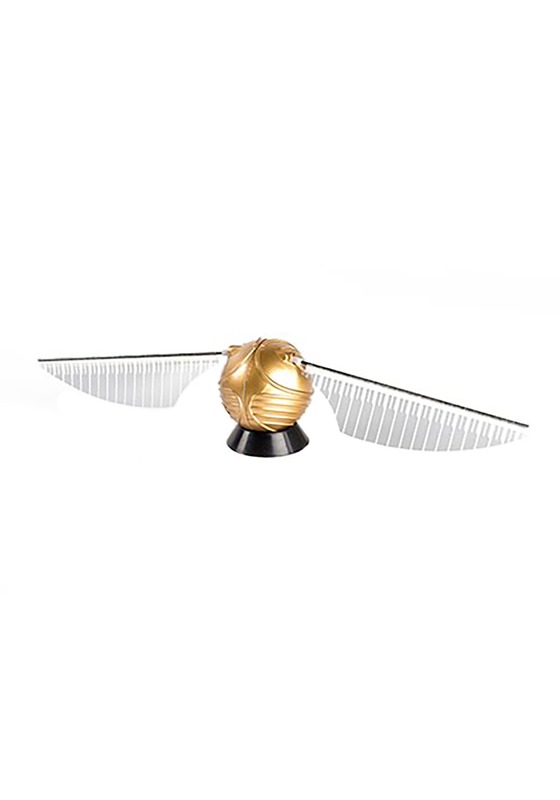 Using your skilled Seeker's hands, you can actually control this Snitch (unlike the real thing) to fly, hover, and dart about, all while its magical wings flap! The kit includes the Flying Snitch, flying activators, a display stand, a Quidditch poster, and instructions on how to use your new favorite toy! The only question we have is: how do we get an invite to this party? We've always suspected we'd make a great Keeper, but we'd play just about any position, even Beater! Many thanks!